Join PFLAGSCC for an evening full of stories from GSA Advisors around the county as they discuss how these groups function in our schools. GSA’s (Gay Straight Alliances) have proven to be a lifeline for many of our children. They have also served as support for our LGBTQ youth as they first come out. Through their activities they are able to create a supportive environment where our children are able to advocate for themselves and to have a safe space within the school. The first hour of the PFLAG Santa Cruz County (Parents, Families, LGBTQ, & Allies Group) meeting is dedicated to discussion groups followed by a brief break. The second hour is dedicated to our program. All are welcome! 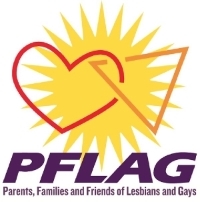 Help keep PFLAG vibrant, Get Involved!